Investors aren't thrilled and neither are expecting owners. Tesla has just released its 2017 fourth quarter sales figures and, not so surprisingly, Model 3 sales fell short of projections due to lingering production issues. However, Tesla said it’s made “major progress” in solving those manufacturing problems that have been the source of rollout delays, angering investors and customers alike. Speaking of investors, upon releasing this end of year report, shares of Tesla dropped 3.5 percent. In the fourth quarter of 2017, a total of 24,565 Tesla vehicles were produced, of which 2,425 were Model 3s. 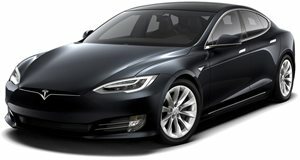 For last year as a whole, 101,312 Model S and X vehicles were delivered, a 33 percent increase over 2016. Going back to the Model 3, Tesla points out that in the last seven working days of the quarter, it made 793 Model 3’s. It also reached a “production rate on each of our manufacturing lines that extrapolates to over 1,000 Model 3s per week.” That’s definitely an improvement, but as Reuters points out, is still well below that of a mainstream automaker who can churn out nearly 1,000 vehicles a day when operating at full speed on two shifts. 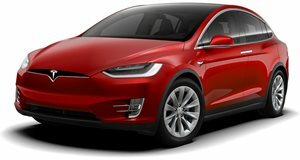 “As we continue to focus on quality and efficiency rather than simply pushing for the highest possible volume in the shortest period of time, we expect to have a slightly more gradual ramp through Q1 (2018), likely ending the quarter at a weekly rate of about 2,500 Model 3 vehicles,” Tesla said. “We intend to achieve the 5,000 per week milestone by the end of Q2.” Investors and buyers will be watching.